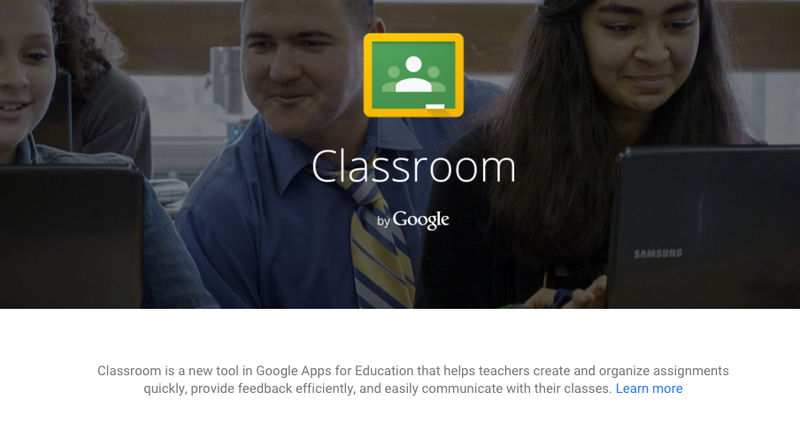 In a recent post I wrote about my school's launch of Google Classroom. Two months in I am loving the way it's changed my teaching, and have found that our school-wide adoption of Classroom has overlapped nicely with some of our English Department's new goals for teaching grammar and usage. Whereas in the past students turned in hard copies of assignments for teachers to mark up with a grading pen, this year we, as a department, decided to go for a different approach. Inspired by Constance Weaver's The Grammar Plan Book, we've been working on teaching concepts an "inch wide and a mile deep." Instead of marking every single mistake in a student's writing, we're looking for general themes and providing feedback about those themes. For example, I might let a student know they need to spend more time proofreading for comma usage or capitalization errors, as opposed to automatically correcting every single mistake they've made. 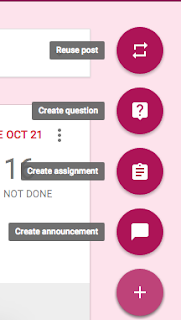 Google Classroom's feedback and assessment features have turned out to be a perfect way to implement our new approach to teaching grammar. In most cases, my students are not even turning in hard copies, but rather submit their work digitally through Classroom. 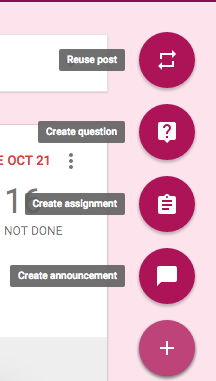 Once they've "turned in" an assignment, I have the opportunity to provide comments directly on the document, as has always been the case with Google Drive. However, in Classroom I can also provide a general comment or grade, and this is where I've started to give my "inch wide, mile deep" feedback. Instead of line by line edits, I share with students my advice for general areas of their writing they can improve. Instead of fixing mistakes for them, I draw their attention to a few specific examples, then leave the task of making the majority of edits to them to complete independently. I'm also finding that having student work organized in Classroom has made it easier for me to notice specific grade-wide trends. For example, as I looked through 50 short reading responses, I realized I was seeing a lot of run-on sentences. I was then able to devote some class time to a mini-lesson on run-on and incomplete sentences, and used Classroom to quickly assess my students' on their learning post-lesson. It's true that one might just as easily notice a trend like this with hard copies, but there's something about the way Classroom visually organizes student writing, and the ease with which I can toggle between different students and class sections, that's made it much easier for me to pick out writing challenges are address them immediately. Like all GAFE products, my students took to Classroom right away. They're already familiar with Drive, and it was just a few short steps to acquaint themselves with Classroom. I've already blogged about my experience at the CARLE Institute, which had a tremendous impact on the way I think about race and issues of racism, equity, and justice. Two months into the new school year, I wanted to record some of the ways in which CARLE has directly impacted my teaching and, by extension, my students. One of my biggest takeaways from the program was the power of a white teacher naming her own race. It's been easy enough to incorporate this into my classroom. This year, as we read Esperanza Rising and discussed the racism Esperanza and her fellow Mexican farmers endure, I was careful to say, "As a white woman, I've never been made to feel like I'm less than simply because of the color of my skin." As CARLE promised, this simple sentence was powerful. While white students snapped to attention, listening more closely, my students of color gave me knowing nods or eagerly volunteered to share stories of when they themselves were victims of prejudice and stereotyping. This simple declaration, this small acknowledgement that I, as a white woman, have a race, opened up a conversation that I'd never had with my students in quite the same way. More recently, as we learned about the Mexican Repatriation act, one white student asked me how government officials could just force people who looked or were suspected of being Mexican to leave their homes in the U.S. Rightfully so, she did not understand why people would behave so hatefully towards Mexican immigrants who were working hard and abiding by the law. I took this as opportunity to do a mini-version of an exercise we participated in at CARLE. I drew a line on the board and labeled it "Power Line." With my students leading the conversation, we spent a few minutes brainstorming what characteristics or traits would put someone above or below the power line. They quickly picked up on the fact that white, educated, wealthy, Christian males have historically been dominant in most countries, but then something really amazing happened. I asked them to think about how different situations and circumstances might affect our place on the power line. Since we'd already established the power most white men are afforded, I asked, "Can a black woman rise above the power line?" In unison the class started shouting about Michelle Obama. It was such an amazing moment, and one that wouldn't have been possible 10 years ago. I feel I've only just scratched the surface of these conversations with my students, but it's been incredibly striking, and rewarding, to see how eager they are for this opportunity. My 5th Graders seem hungry for frank discussions about race, gender, and sexual orientation, and I feel fortunate to have found my voice in leading this conversation with them.